AP EAMCET 2019 application form correction has been started from 6th April 2019. 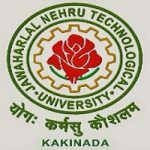 The AP EAMCET is a state level entrance exam organized by Jawaharlal Nehru Technological University, Kakinada. This exam is organized to offer admissions to those students willing to get admissions in undergraduate professional courses offered by various colleges in Andhra Pradesh state. Here in this article, we have provided complete information regarding AP EAMCET application Correction 2019. AP EAMCET 2019 Application Form Correction has been started from 6th April 2019. Click here to make correction. The AP EAMCET application form is available from 26th February 2019. Candidates fill the application till 27th March 2019 without late fee. With the late fee, candidates will submit the application till 19th April 2019. If candidates will done any mistake in the application form, then they can make corrections in their submitted application form. AP EAMCET application Correction 2019 will be started from 6th to 10th April 2019. Items which cannot be permitted to change in the application form are Stream, Name of the Candidate, Date of Birth (as per SSC or Equivalent), Signature, Father’s Name, Photograph and Qualifying Examination Hall Ticket Number. But written request can be made to the CONVENER, AP EAMCET 2019 through e‐mail with valid documents. Items which are permitted to be rectified in the application form in the correction period are Qualifying Exam – Year of Appearing/Passing, Medium of Instruction in Qualifying Exam, Place of Study – Intermediate or equivalent, Bridge Course Hall Ticket Number, Mother’s Name, Birth State, Birth District, Gender, Community, Special Category, Local Area Status, Non-Minority/Minority, Annual Income of the Parents, Study Details, Exam 10+2 studies, Place of Study – SSC or equivalent, SSC Hall Ticket Number & Year of Passing, Address for Correspondence, Mobile, Email-ID, Aadhaar Card & Ration Card details. Click here to view Application Correction details. Visit the official website of AP EAMCET (link will be given above). Now, you have to fill your “Registration Number”, “Payment Reference ID”, “Qualifying Examination Hall Ticket No,”, “Mobile Number” & “Date of Birth”. Click on the “Proceed to fill Application” button. Now, make corrections in the application form. After correcting the application form, don’t forget to take a printout of it for further need. If you have any queries related to AP EAMCET 2019 Application Form Correction, you may leave your comments in the prescribed comment box. Excuse me Sir, I entered My Date of Birth Year 1999 instead of 2000.. and Payment is also Done , Now How to Change DOB in EAMCET application Form , 2017 Please Help , Please Help sir. Am i able to change my centre preference? Wait for the correction window to open from 6th April 2019. I have given 10th class hall ticket number in place of my 12th class hall ticket number in the application form. Please tell me how to change it. If needed tell me how to email to the convener. Please ,it is urgent. you can conatct them at : 0884-2340535 (O), 0884-2356255 (O), 18004256755 (Toll Free). is there any facility to pay the AP EAMCET-2017 Examination fee through APONLINE CENTERS Please reply. I haven’t entered my sur name is that possible to correct it?? sir .when i fill ap emcet application form in candidate name option enter only name or name & surname also? I entered 1999 instead of 2000 in date of birth column. Do i face any problem regarding this. you can go for correction. i have to edit my tenth class hall ticket number and my father name. Sir, will there be any problem by submitting sports certificate during counselling by forgetting it to fill in application form. Plz reply…. Wil they consider or not.thanku. I HAVE APPEARED EAMCET -2016 WITH HALL TICKET NO. 560470373. IN WHICH I GOT 42 MARKS BUT IN RANK CARD IN RESULT COLUMN IT IS MENTIONED 10+2 FAIL. SIR BEFORE APPEARING EAMCET I GOT CHANGED MY QUALIFYING EXAM HALL TICKET i.e. 1605310950 IN MY EAMCET APPLICATION NO. 121538. I HAVE PASSED MY INTER/10+2 IN COMPARTMENTAL. SIR PLEASE TRANSFER MY INTER PASS DATA AND AWARD ME A RANK SO AS TO ENABLE ME TO APPEAR FOR EAMCET COUNSELLING. HERE WITH I AM SENDING MY INTER MARKS LIST AND EAMCET CHANGED QUALIFYING HALL TICKET APPLICATION FOR YOUR READY REFERENCE TO DO THE NEEDFUL IN THIS MATTER. PLEASE HELP ME BY GIVING ME A RANK BY AMENDING YOUR DATA BASE. we are just career website to provide you the best and suitable guidance and notification. For this matter you need to contact with th officials. is there any perticular dates for that? instead of writing as OU it was written as NL in app form erroneously.My daughter comes under CAP quota in AP.so, her local area rank was not mentioned. Pls suggest. sir in the form it is printed that bc-e instead of oc can i change it now?and will this cause any problem to me during councelling? It don’t think correction are allowed now. iam narendra.i have completed my 2nd year and i wrote eamcet exam.i want to change my birth place not birth date in form only birth place.so how can i change it sir? I have got the wrong category in the ap eamcet hall ticket. Instead of BC-B I got OC what should I do? I FORGOT THE REGISTRATION NO AND OTHER DETAILS REGARDING THE APPLICATION,PLEASE HELP ME. The correction process is now over. Hi, Goutham i’m also facing the same issue have you find any solution if yes please let me know…. Sir, i applied for ap emcet2016 and i submitted application foam.but in hall ticket it printed apemcet 2015. If it is required in the application form then you have to attest it. you can download by login to the application panel. Sir, during the edit mode, option to enter bridge course HT no. is still frozen which is supposed to be available during edit mode and today ie.9th is last date. We have called APEAMCET convener number but no response. No response to email too. pl suggest the means to enter Bridge course HT number now. Thanks in advance. If the option is frozen, then i think this option is non-editable. I want to change my appearing year or qualifying year to 2015 to 2016. I checked two todays but that year column was not shown any year. Can I correct that year. Read the notification about the form correction carefully, and then you’ll come to know about what changes and in which section you can make. I want to change my examination centre to hyderabad. How could i change ? you can edit your application now. Change the centre online by visiting the official site. you can edit your application now.. Correction period is on. you can make corrections. sir i have given my entered my intermidiate qualification year wrong it 2014 actually but i have entered 2013 by mistake when it come to correction its not editing what can i do?? is it okk to attend the exam directly without changes with all my original documents to the exam hall?? sir I would like to change my help line centre for certificate verification.is it possible sir. I want to change my appearing year or qualifying year to 2015 to 2016. I checked today but that year column was not shown any year. Can I correct that year. ihave kept examination centre as nellore. now i want to change it to kurnool. what should i do? My daughter entered wrong hall ticket number..
link is given in the official website “Corrections in Filled in Application Form”. It will not been corrected. I entered my Date of Birth wrongly. Now I want to change my Date of Birth as correctly.So kindly suggest me how can I change. By mistake I entered wrong exam center. My daughter is studying at Vijayawada but while in online application filling I entered exam center as ANANTAPUR. Now I want to change Exam Center to VIJAYAWADA instead of Anantapur. Kindly suggest how to change exam center. You cannot change the examination centre to Vijayawada. Sir can i change my center from hyderabad to guntur or vijayawada. You can make the corrections in the filled application form of AP EAMCET from 3rd April. you can change it during correction period. Sir can we register another application..because we have entered regoinal centre wrong..so there is no chance fr any correction in aplication..so can we register another form now..please rply soon.. There is a error in my inter hall ticket number , I have submitted 1st year hall ticket number instead of second year can I correct it again??? Sir can we register another application form. Because in before application we registerd regional centre as Vijayawada,,but Iam from Hyderabad..can we apply new application form.. I am a native of Visakhapatnam in A.P. as I have completed my studies in Visakhapatnam and also working in Visakhapatnam since the last 25 years. But my son had studied outside A.P State from class -2 to Class-12. Can my son apply for AP Eamcet-2016, and will he come under local category status, as I have been in Visakhapatnam since the last 54 years. your son must have AP domicile, and yes he is eligible. I have not entered ‘a’ letter in my father’s name. is it considerable? if it is ? how can i correct it ? Correction is not allowed in father name. sir i applied for apeamcet 2016 on 25-02-2016 but by mistake my ssc hall ticket no was not completely typed and i downloaded my application.is it possible if so when.PLEASE HELP ME. You can change it at the time of correction period.